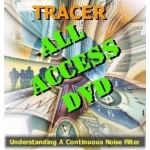 Diamond Cut Productions DC Forensics TEN: A Walkthrough DVD - Tracer Technologies Inc. It?s A Great Way To Learn! Welcome to DC TEN: A Walkthrough, a comprehensive walking tour through the world?s most advanced Audio Forensics software. We?ll show you real-life examples from start to finish so that you can see a forensics engineer put this powerful product through its paces. It?s like taking a multi-thousand dollar training course in the comfort of your own living room. Pop in the DVD, and broaden your knowledge! The Continuous Noise Filter is one of the most powerful and misunderstood filters in any noise reduction program. We take you under the hood and explain how it works, why it works and how you can get it to work for you! 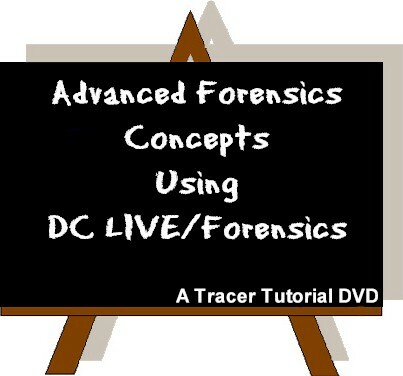 This cool new DVD takes you deep inside DC LIVE/Forensics and expands your knowledge on the software and its many capabilities.